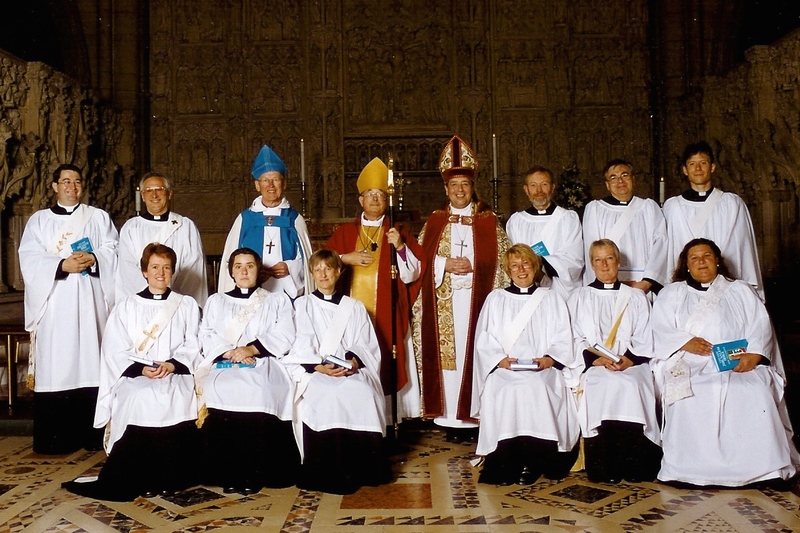 A few years back now but this is my ordination photograph from 2002 when I was ordained deacon in Truro Cathedral. How time flies. It is an easy date to remember as it is the feast of St. Peter and St. Paul, who are thought to have died in the persecution of Christians during the time of the Emperor Nero. I was ordained priest exactly a year later on the same feast date. Congratulations on your 12th Ordination Anniversary. May you continue your holy and blessed work in the years to come. A lovely photo and you look very proud. I am not quite sure which lady you are in the 2002 photo. I remember going to the Revd Vera Hunt’s ordination at St. Paul’s. Quite an experience!